"Sampath Speaking" - the thoughts of an Insurer from Thiruvallikkeni: giant leaf for mankind ~ cotton sprouts in moon ! A small green shoot is growing ~ it is germination of a plant, that of cotton to be specific - and .. .. is touted as ‘giant leaf of mankind’..baffling !! No space mission has ever explored the far side from the surface. As such, it's the first chance to explore a mysterious region of Earth's natural satellite.The "face" that's never seen from Earth has some key differences to the more familiar "near side". The far side has a thicker, older crust that is pocked with more craters. There are also very few of the "maria" (dark basaltic "seas" created by lava flows) that are evident on the near side. 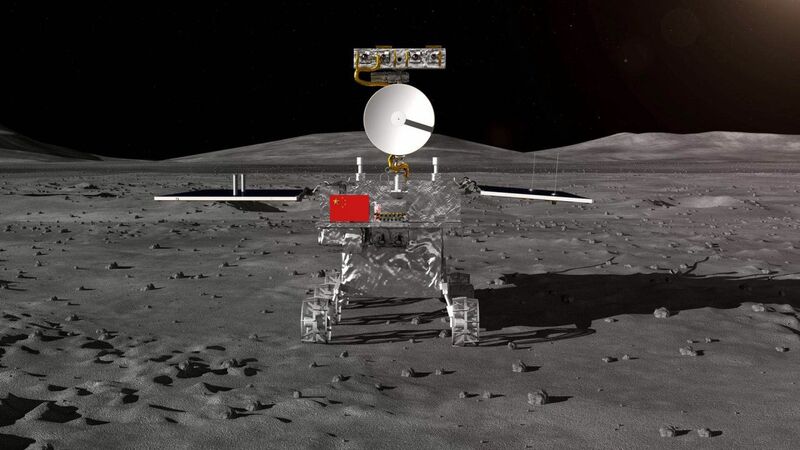 If you are wondering, it is all about Moon and Chinese exploration of the darker side. 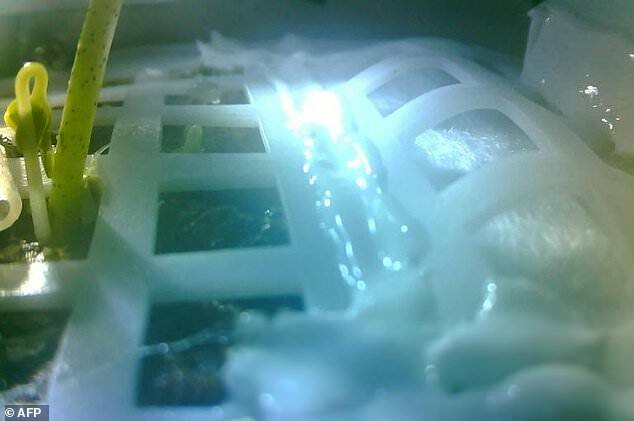 Plants have been grown outside this Universe, previously on the International Space Station, but this is the first time a seed has sprouted on the moon. The ability to grow plants in space is seen as crucial for long-term space missions and establishing human outposts elsewhere in the solar system, such as Mars. Chinese spacecraft named Chang’e 4 braked out of lunar orbit and slowed to a controlled touchdown on the far side of the moon, a first in the history of space exploration. The spacecraft landed at 0226 GMT on Jan. 3 (9:26 p.m. EST on Jan. 2). Chinese Chang'e-4 has reportedly landed at a site known as Von Kármán crater, a 180km depression located in the far side's southern hemisphere. But Von Kármán lies within a much bigger hole punched in the Moon - the South Pole-Aitken basin.It's the oldest, largest and deepest such basin on the Moon and formed when an asteroid - perhaps 500km across, or more - collided with it billions of years ago.This event was so powerful that it is thought to have ploughed through the Moon's outer crust layer and through into the zone known as the mantle. ‘Cotton’ the soft, fluffy staple fibre grows in a boll, or protective capsule, around the seeds of cotton plants of the genus Gossypium. The fibre is almost pure cellulose. The botanical purpose of cotton fibre is to aid in seed dispersal. The plant is a shrub native to tropical and subtropical regions around the world, including the Americas, Africa, and India. The fibre most often is spun into yarn or thread and used to make a soft, breathable textile. Current estimates for world production are about 25 million tonnes annually, accounting for 2.5% of the world's arable land. It marks the first time any biological matter has grown on the Moon, and is being seen as a significant step towards long-term space exploration. The Chang'e 4 is the first mission to land on and explore the Moon's far side, facing away from Earth. It touched down on 3 January, carrying instruments to analyse the region's geology and now comes the news of germination of cotton ! .. the ability to grow plants on the Moon will be integral for long-term space missions, like a trip to Mars which would take about two-and-a-half years. It would mean that astronauts could potentially harvest their own food in space, reducing the need to come back down to Earth to resupply. The Chinese Moon lander was carrying among its cargo soil containing cotton and potato seeds, yeast and fruit fly eggs. The plants are in a sealed container on board the lander. The crops will try to form a mini biosphere - an artificial, self-sustaining environment. On Tuesday, Chinese state media said the cotton seeds had now grown buds. China’s official mouthpiece the People's Daily tweeted an image of the sprouted seed, saying it marked "the completion of humankind's first biological experiment on the Moon". Fred Watson, Australian Astronomical Observatory's astronomer-at-large, told the BBC the development was "good news". "It suggests that there might not be insurmountable problems for astronauts in future trying to grow their own crops on the moon in a controlled environment." I think there's certainly a great deal of interest in using the Moon as staging post, particularly for flights to Mars, because it's relatively near the Earth," Mr Watson said. Prof XieGengxin, the experiment's chief designer, was quoted as saying in the South China Morning Post: "We have given consideration to future survival in space. "Learning about these plants' growth in a low-gravity environment would allow us to lay the foundation for our future establishment of space base." He said cotton could eventually be used for clothing while the potatoes could be a food source for astronauts and the rapeseed for oil. China's Xinhua news agency said that the seeds were rendered dormant using "biological technology" during the 20-day journey from Earth to the Moon. They only began growing once ground control centre sent a command to the probe to water the seeds. Xinhua said the probe had taken about 170 pictures so far which have been sent back to Earth. Really an interesting news that could have far reaching effects for the future !